If ever there were a sport to indulge a sense of nostalgia, baseball is it. (Cricket fans: I, Evander, can hear you: What about us? It’s the same impulse of course.) I happen to have a seat bottom from the original Yankee Stadium. I walked off with it for the price of a $1.35 ticket in September 1973, the final game against the Detroit Tigers, played at the Stadium before it was redesigned. Ultimately, the redesign gave way in 2009 to a spanking new stadium. Which I could do without. But never mind: I do not go often enough to have a legitimate beef, and certain aspects are enlightened and first class, such as wheelchair accommodations. (I have not seen a Yankees game in person this season.) Last October, my neighbor, Marvin Kaufman the collector, informed me the wooden seat bottom has value and I ought to get some autographs of Yankees that played in 1973 or earlier. So far, I have obtained Yogi Berra, Bobby Shantz, Bobby Richardson, Jerry Coleman, Ron Blomberg, and “Bullet” Bob Turley. Next week, I try for Rollie Sheldon (from the 1961 Yankees). It pays to be a dedicated follower of fashion. I cannot help thinking of that great poet of nostalgia, Juan Ramon Jimenez. 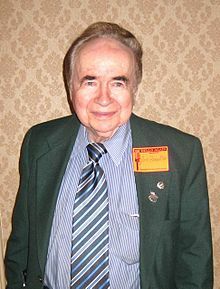 Or Joe Franklin for that matter. This entry was posted in Baseball, Yankees and tagged Bob Turley, Bobby Richardson, Bobby Shantz, Detroit Tigers, Jerry Coleman, Literature, New York Yankees, Rollie Sheldon, Ron Blomberg, Yankee Stadium, Yogi Berra. Bookmark the permalink.